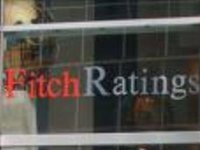 The Fitch Ratings international rating agency forecasts that Ukrainian banks in 2018 will post profit, at the same time it notes a number of constraints. "Ukraine's banking sector clean-up is well advanced, with high problem loans largely now recognized and banks supported by capital injections from the state or foreign shareholders. The sector should return to profitability in 2018 but provisioning, funding costs and limited growth will weigh on performance," reads a report by the agency. "We maintain stable sector outlooks for … Ukraine …, where we do not expect significant deterioration of most banks' financial metrics," Fitch experts stated. As reported, the net profit of Ukraine's solvent banks in January-September 2017 amounted to UAH 1.41 billion. In the first half of this year, the banking system posted losses. On July 1, 2017, according to updated data, the net loss amounted to UAH 1.85 billion. The net loss of solvent banks in 2016 amounted to UAH 159.388 billion.